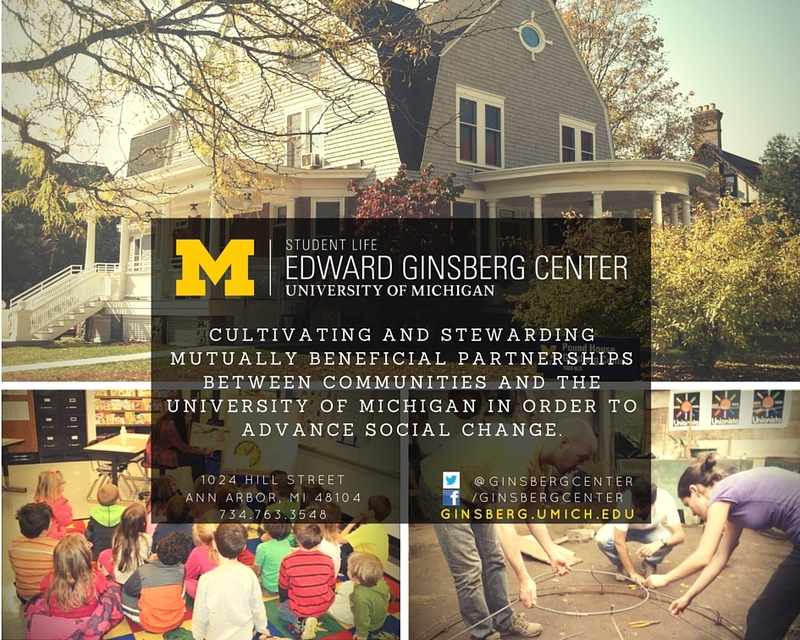 Our mission is to cultivate and steward equitable partnerships between communities and the University of Michigan in order to advance social change for the public good. We strive for balanced impact in our partnerships, which means that students, faculty and staff, and community partners all have the opportunity to share their interests, goals, and expectations. University and community partners can achieve their goals through reciprocal partnerships. Our approach centers around community-identified priorities and how we can most effectively match University of Michigan resources and expertise to those of community partners working to address these priorities. Cultural humility requires a recognition of power differences and conscious attempts to balance these differences through reflection and learning. Community members are recognized as active agents, who are experts in their own right, with deep knowledge about their communities and practices, rather than as sites of academic exploration or the passive recipients of university expertise..
We support students’ integrative learning across classroom, co-curricular, personal, and community settings. Reflection is a critical component of this integration throughout the partnership process to ensure connections are made across these domains before, during and after community engagement experiences. We focus on stewarding long-term relationships with community partners that last beyond a particular project or engagement. As a project or partnership with an academic partner concludes, we connect community partners to additional university resources so other relationships and partnerships can flourish.